Preaching is the lifeblood of the Christian church. In every age God has used the proclamation of his word to bring men and women to repentance and faith in Christ, and to help them grow in grace. Throughout his long ministry in Geneva (1536–38, 1541–64), Calvin was a tireless preacher. He spoke of course to a specific congregation and at a particular point in time. Even so his sermons have travelled well across both time and space. God’s word is not bound by history or geography, and Calvin’s French has a robust plainness and directness which allows it to cross barriers of language and culture with relative ease. Of the 101 sermons which the Reformer preached in 1554–55 on the Pastoral Letters, thirty, on Paul’s second letter to Timothy, are presented here. They have been newly translated from the original French. They offer a clear, forthright exposition of the biblical text, but also challenge the reader to live out the truths taught, since to be profitable God’s word must transform the way we think, feel and act. In Calvin’s hands the sermon is an instrument of real and lasting change. This volume completes the translation into modern English of Calvin’s Sermons on the Pastoral Letters of the apostle Paul. 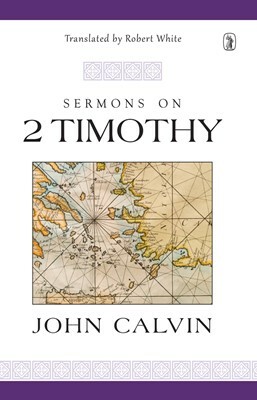 The companion volumes of Calvin’s Sermons on First Timothy (2018) and Calvin’s Sermons on Titus (2015) are also available from the Trust.